Download a free pattern for the banner. 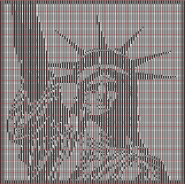 The Statue of Liberty is much too big to represent, in detail, in illusion knitting so we chose to use just the head. 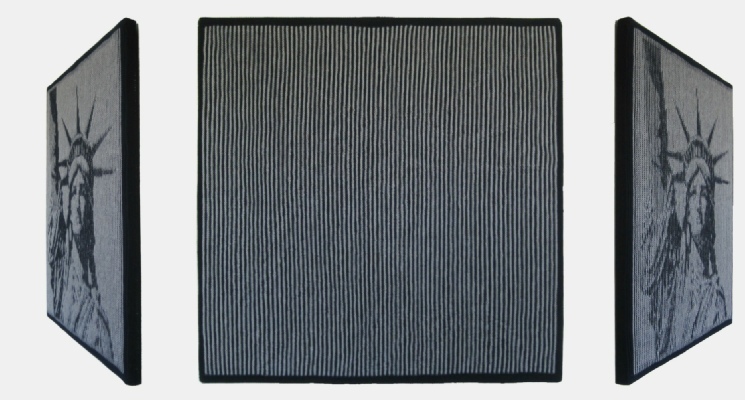 The centre photo above shows what you see when you look directly at the knitting. The others show what you see when you look from the sides. 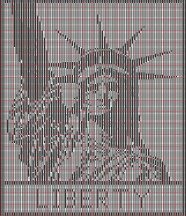 The pattern includes instructions and charts for the image shown in the photos, and another version incorporating the word LIBERTY. 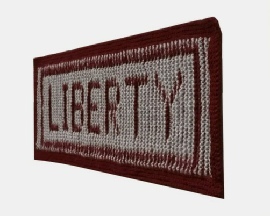 A free pattern with the lettering as a banner is available separately.